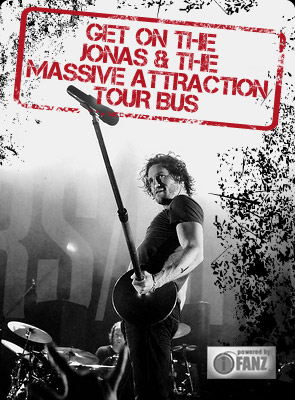 Jonas & The Massive Attraction are honoured to confirm they will be performing on the “Avenir Lac Mégantic” benefit at the Bell Centre in Montreal on Tuesday, August 13, 2013 at 8:00 Pm. As an official Ambassador of Lac Mégantic, Jonas is grateful to have the opportunity to help support the people of Lac Mégantic through this tragic time alongside fellow Ambassador, Peter McLeod, who will co-host the event with Gino Chouinard. “Avenir Lac Mégantic” is organized in conjunction with the City of Lac Mégantic and will also feature such stars as Garou, Cœur de Pirate, Jean Marc Couture and many others. Money raised through the benefit will help support victims of the tragedy and their families and the rebuilding of the town in conjuction with the City of Lac Mégantic and other organization in the region. Tickets for “Avenir Lac Mégantic” are ON SALE SOON at www.evenko.ca and the Bell Centre box office.